8 days from £1329pp plus international flights. 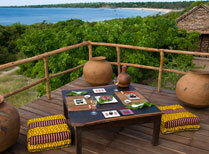 The northern coast of Mozambique is picture perfect! 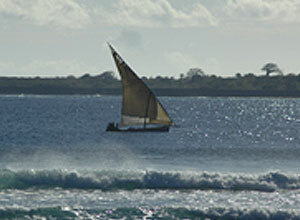 Long stretches of white sand backed to swaying palm trees, lapped by the impossibly blue waters of the Indian Ocean. This is a region of raw, unspoilt beauty, well away from crowds, where you can enjoy nature, meet local people and do as much or little as you want. 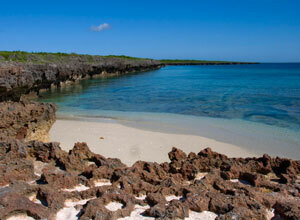 Your first destination is Mozambique Island. For such a small island it has a wonderfully rich past, having served as an important trading post in the Portuguese empire since the 16th century. There's a fine fort and many impressive colonial buildings, though today life is quieter, and the you can explore at a leisurely place as you picture the hustle and bustle of centuries gone by. 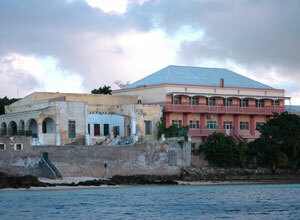 Your guest house is part of this history, too. Over its 300 years it's been home to prominent traders and merchants and is filled with Indian and Arab antiques and artefacts. It'll be unlike anywhere you've ever stayed before! 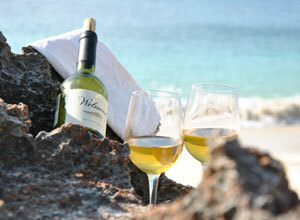 Next you had north to the stunning Baixo do Pinda Peninsula. This region is remote, and getting here is part of the adventure! Once you've arrived you won't want to leave. This is an enchanting location and your lodge, with its rustic simplicity, fits perfectly. With scenery this beautiful you don't need distractions like TV in your room, though you do have hot water and limited electricity thanks to solar power. Swim and snorkel in the sea, picnic on a deserted beach, visit the village and take a dhow cruise - you have five days to experience this little slice of paradise. Northern Mozambique is a wild and beautiful place, less accessible than the south of the country, but that just means you won't have to share it with so many people! You'll remember the charms of this remote region and its people long after you've left. Welcome to Mozambique! A representative will meet you at Nampula airport and drive you east to the coast, where you'll cross the 3km bridge over to Mozambique Island. The journey takes around 2½ hours. 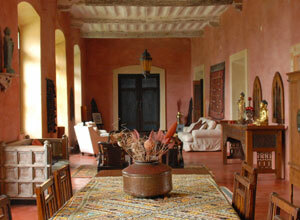 Your destination is Terraco das Quitandas, a 300 year old mansion converted to a guest house. Settle into your air-conditioned room then wander down to the lounge and reading room where you can relax after your journey, maybe enjoying a drink from the honesty bar. You should head up to the rooftop terrace in the late afternoon to watch the sunset. Tonight take the short walk into town to select a restaurant for dinner. Price notes: 2019 guide price pp sharing, from £1329. 7 nights accommodation on a twin share basis comprising 2 nights at Terraco das Quitandas and 5 nights at Nuarro Lodge; meals as specified; road transfer from Nampula airport to Mozambique Island; road transfer from Mozambique Island to Nuarro Lodge; road transfer from Nuarro Lodge to Nampula airport; tea, coffee and snacks at Nuarro Lodge; unguided snorkelling and kayaking, walkign trails and bike rides at Nuarro Lodge. International flights; departure taxes; visas; travel insurance; meals not specified; drinks other than tea and coffee at Nuarro Lodge; optional activities other than snorkelling, kayaking, walking and biking at Nuarro Lodge; items of a personal nature; tips. This holiday starts and ends in Nampula. 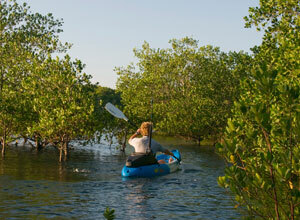 International flights from the UK start from around £1,300, depending on season and availability. We usually book these for you. Departure dates: This is a tailor made holiday that can begin on the day of your choice between 15th January and 15th December, subject to availability. 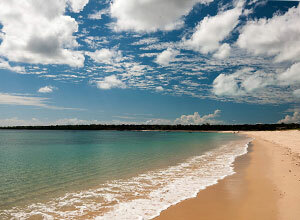 The coast of Northern Mozambique is a beautiful and peaceful region, with long, white beaches, warm ocean waters, great dive sites and delicious seafood. 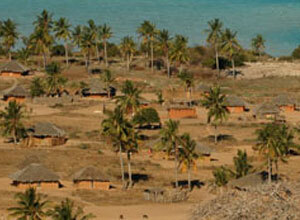 An eco-lodge on the Baixo do Pinda Peninsula in Northern Mozambique. 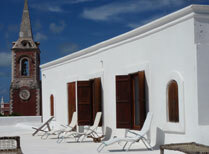 This characterful guest house on Mozambique Island has several sitting rooms and a sunny terrace.